Fail-proof Tactics for Whitetail Bowhunting has it all! Veteran bowhunter Bob McNally brings together in one book the tips, tricks, and masterful secrets of the masters of whitetail bowhunting. More than thirty bowhunterswith six hundred years deer bowhunting experience and five thousand whitetails harvested between themoffer their sage advice on taking this most popular of North American big game animals.  Manage land for BIG bucks!  And so much more you need to know! 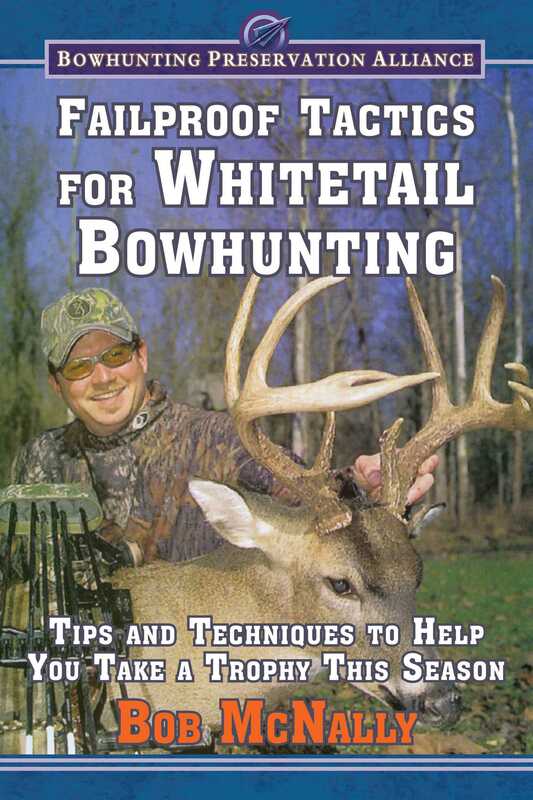 Failproof Tactics for Whitetail Bowhunting includes top whitetail hunters like Mark Drury, Matt Morrett, Fred Bear, Ted Nugent, Bill Jordan, Jim Crumley, Harold Knight, Ralph Cianciarulo, Stan Potts, David Blanton, Claude Pollington, Will Primos, and many others. If you’re looking to improve your chances of taking a deer this season, look no further! Learn from the experts; get bigger, better bucks.